Staying busy with taking care of the husband and doing some of the things that he normally does. He is progressing very well and is walking without any assistance with very little pain! Yay!!! Of course, that means I have to watch him like a hawk because he will think he can do more than he is supposed to do. Had a moment to play with some photos and came up with this. There is just so much meanness in the world these days and especially on social media (social media is actually very anti-social if you ask this southern girl.) 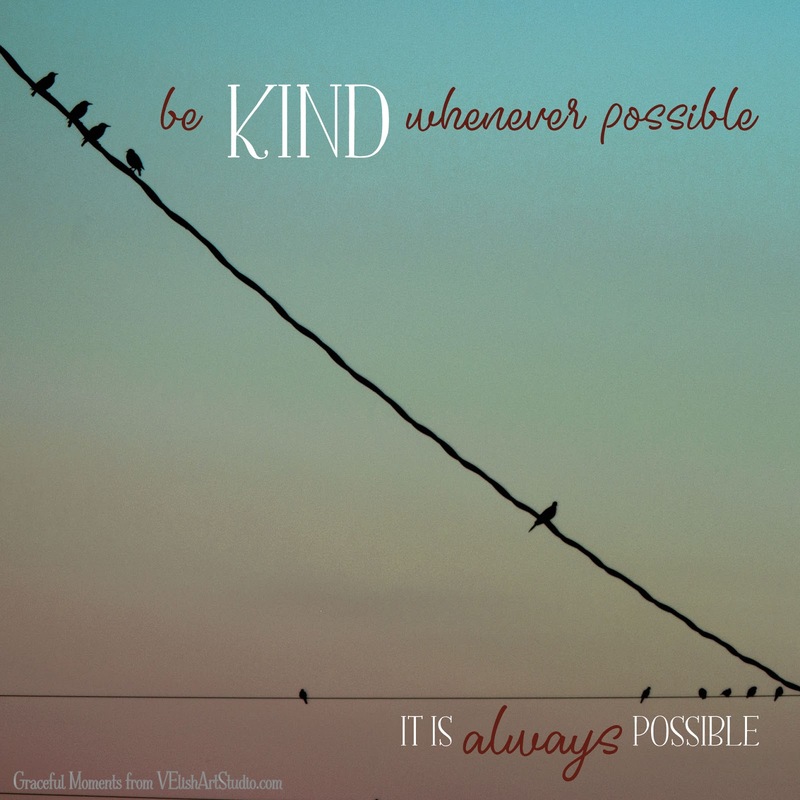 Anyway, kindness never hurts and always helps so these are words to live by! Hope you and yours had a wonderful Easter. I know some of the country is still having snow and ice and frigid temperatures. We are expecting another night of lows in the upper 20s tomorrow night. Hoping this will be the last of that!!! Wishing you warm weather soon. Your picture with the words is super! I love this. I'm not on any other social stuff except blogger, and that suits me fine. So thankfully, I'm out of the loop about the other stuff and the junk that goes with it. Sometimes just going to Walmart makes me mad at people!!! We are still having WINTER up here-and I'm beyond impatient with it. It's a lesson in being thankful, because I have to make myself list the things I am so very thankful for. When I get done with the list, I realize I am very, very blessed indeed. I'm glad your hubby is doing well, and on the recovery side of things. Blessings to you both! Thank you, Debra! I sometimes would like to pull the plug on the entire internet but then I would miss all of the good things there, such as you and your art and other dear friends! We are still having winter here too. We have a few nice days and then the temperature dips into the low 30s. A friend and I did an experiment over a week’s time a few years ago. We decided we would not ask God for anything for an entire week, instead, we would only thank him. You truly do realize how blessed you are when you do that. Blessings to you always.